How To Check The Powers of Yantra, Rudraksha, Tabiz etc, Science to check the powers of spiritual products, Ways to check the powers of yantra, rudraksha, tabiz, What Happens during the Siddhi of Yantra or charging of Yantra?, Proof of Charged Yantras. A very common question which arises in the minds of common person is that whether it is possible to test the power of any yantra, Rudraksha, Tabij, etc. Why to pay huge amount for a Siddha yantra or tabiz etc. How a Yantra can be helpful for us?. 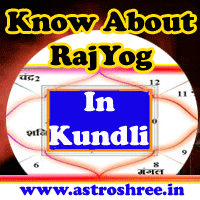 How a tabij or yantra can minimize the effects of any dosha in kundli? How vastu problems can be minimized with a yantra? These are questions which arises in the mind of every person but i think no body is getting the perfect answer of this question. Before providing the answer of these important question i just want to clear that i am providing here the results as per my research work. I am doing research work on yantras, tabiz etc for the last 15 years now i am able to prove that yes these yantras works , tabiz works, Rudraksha works, Every thing which is charged in a right way will work. Do you ever tried to know the answer of question scientifically that why diamond is precious. Why some stones shows very tremendous effects after wearing it. The answer is simple - If the gems stone is original then it stores more energy and thus provide good energy to the wearer. Thus it start making changes in the body and mind. Every where there is a game of energy and energy is present in different forms. Spiritual practitioner can use the energies for his upliftment. Some stones are precious because they have that quality. They store more energy. They give more too the wearer. Now let's move further to know energy of Yantra and Rudraksha. How to check the powers of Yantra, Rudraksha, Tabij? Testing the power is not a simple. As there is no physical energy, nothing is seen and nothing can be feel by a common person. But still it is possible to check the energy. But only an expert can make it done for you. Through special instruments like pendulum and questionnaire method. By seeing the results after installing the yantra, rudraksha or tabij. Actually What Happens during the Siddhi of Yantra or charging of Yantra? For the first time i am reveling this truth for the knowledge. Many times it is asked from me that why you take so much time to provide yantra, tabij etc. Why sometimes it is costly? Will this pooja really generate any impact? So here i am clearing the doubts scientifically. There are many method of charging First i am telling you about the charging of yantra, rudraksha, tabij etc through Mantra or tantra. Actually the person who have the knowledge of charging recite the mantra and do hawan with special type of sankalpa. with this an environment of positive energy generated there and now the mantra reciter with his power transfer the energy in the yantra, tabij or rudraksha. So the power of yantra or Rudraksha or any spiritual products depends upon the charger or the person who is charging it or who is doing the siddhi. Charging or doing siddhi is not a very easy process. It takes many days and various things are used to charge different types of yantra, tabij, rudraksha etc. There are other way of charging yantras which runs on the will power of the person. I think many of you are aware of the word telepathy. Telepathy is a process in which a person can send the signals to the person whom he wants. This is a spiritual science. So just try to understand that if it is possible to send signals to a person who is very far of us just by using will power then it is also possible to accumulate positive energy for different work in any yantra, rudraksha or tabij. Mantra and Tantra are made to do specific process and thus it works. Because of this people are suffering from black magic, because of this people are attaining success in life, By using the right mantra people are getting well and also fulfilling there wishes too. After getting charged the aura of every yantra, rudraksha, tabij gets changed which can be easily checked with the help of Krillion Photography. Nothing is impossible in this life. But every thing needs time and positive efforts. Only buying an yantra or rudraksha and wearing it is not enough. But it is necessary to make it charged or siddha. I don't want to say that only a pundit can make it charge but any experienced person who has practice this lore or who have the right knowledge to siddha any product can help you better. So don't think that Siddhi is nonsense the main thing is that until you get a right person to understand the science of anything you can not have it. We can charge or siddha a coconut. We can charge or siddha a yantra. We can charge or siddha a Rudraksha. We can charge or siddha a gems stone. We can charge or siddha the Statues of God or Goddesses. We can charge or siddha a stone etc. So believe in the existence of subtle energies and do practice to feel them. You will definitely get success in life with the help of Yantra, Rudraksha, Tabij. But don't use them just for sake. It is good to consult before using any yantra, Rudraksha, Tabij etc.